​The Science after school club delivers unique, hands-on science experiences and science magic tricks for children that are as entertaining as they are educational. Clubs are fun with lots of hands activities for the children that spark imaginative learning after school. Children are not aware but the experiments encourage scientific literacy in an age when science is as vital as reading, writing and arithmetic. Our interactive, one-hour after school science programs are themed around particular areas of science and include such topics as rocketry, magnets, polymers, and even the science of toys. In each class, children are encouraged to give science a try and build their very own model rockets, periscopes, and more. Children even get to take home their science experiment to show Mum and Dad! The after school club all kids love! This is the most exciting of our after school clubs which brings science to life. 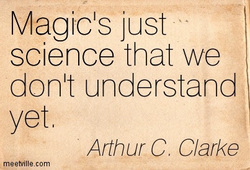 There is so much science used in magic shows to produce special effects and illusion. Please Note: ​All experiments are totally safe using only household products or ingredients NO chemicals are used. How to make an object propel. Produce secret writing which will magically appear on command. Make a magical bouncy ball. We will visit your school with a FREE assembly, so you can see what interest there is before you book. Clubs last for one hour after school. 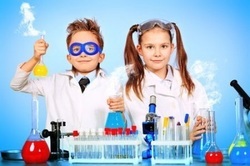 This Science club meets the aims in the National curriculum in England (see below). At the end of each session children have a worksheet (simple choice of A, B or C answers) which makes then think about the experiments they have just done. NO chemicals used in experiments, only household products. How much will the after school magic club cost parents? Each session costs parents £6.00. Is there any minimum or maximum numbers? We need a minimum of 10 children for the club to run and a maximum or 20. To sell the club we come to your school and do a small assembly, which lasts for 15 minutes, showing some of the tricks the children will be learning. Having done the assembly we found no problem getting the numbers required. How do we inform parents? We will supply you with a parents letter which explains everything about the after school magic club and includes a booking from. What about booking and payment? Parents can book online or we are happy to work with your booking system. What do we need to hold the club? ​National curriculum in England - To read in full click here.